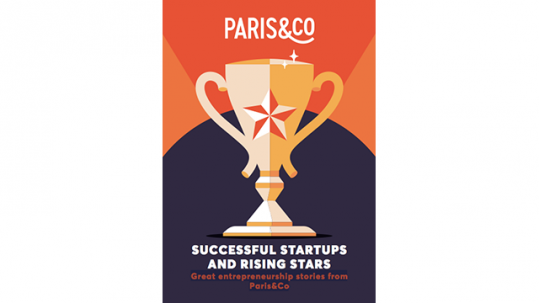 The Paris Living City Awards is a new category of the “Grands Prix de l’Innovation” dedicated to international startups. This event aims to support the development of innovative companies in fast-growing sectors. The 10 finalists have been selected coming from Europe, Asia, Africa and South America. They will be in Paris the 12th December during the ceremony of the “Grands Prix de l’Innovation” where the 3 winners will be revealed. CGON developed an on-board on demand hydrogen generator which cuts the combustion engine emissions by up to 95% and increases fuel efficiency by 25%. UNU believe that today’s urban mobility options are not designed to solve the challenges ahead. Their e-scooter is clean, fast, effortless and affordable: it has made e-mobility viable for many in Germany, Austria, Switzerland and the Netherlands. Con Hub Form created the TOWLD brand that makes full efforts to empower conventional cementitious material with nano and fibre technology. Con Hub Form created a new UHPC material called SyneCrete that could be used for both infrastructural and architectural application. These TOWLD series are all inorganic, durable, incombustible, anti-erosion and with no VOC emission. It enables architects to express more artistic expressions with thiner, bigger, more flexible, colourful concrete. Eyeware develops patent-pending eye tracking technology for understanding human attention in 3D environments with direct applications in multiple industries, including healthcare, robotics, research, automotive, retail, advertising, and more. We can accurately detect where a person is looking at, and use this information for attention-to-object analytics, dynamic content, or gaze-based control. Pavnext develops technological solutions to implement in the road pavement to promote safer, smarter and sustainable cities. Pavnext products consist of technological devices to implement in the road pavement surface that, without affect or interfere with the vehicles motion allows to reduce their speed without any driver action, by extracting kinetic energy from vehicles. Installed in 2012, WɔɛLab is the first shared laboratory for social and technological innovation in Togo. Based on the #LowHighTech concept, new approaches to productive collaboration in African contexts are being developed, such as Wafate: the first African 3D printer and built in computerized waste. These prerogatives are: a digital resource center, an incubator for a dozen startups, including SCoPE, a nursery for structures in the web, digital and ICT domains. NearByke's vision is to make bike sharing a greener, more cost effective solution for operators, as well as customers. The biggest operating cost in current bike sharing schemes is that of rebalancing to maintain an even spread of bicycles throughout the city and maintain a high level of service. The solution consists of a software platform where users get rewarded to redistribute the bikes themselves. P2P Protect developed in China a collaborative protection model (p2p insurance), that focus on building new risk coverages for social or societal risks, protecting the child against abduction, divorced mothers against financial distress and migrant workers… or possibly soon terror attacks victims. The model brings together online communities of web-mobile users that protect each other. Sorry as a Service is a one-of-a-kind platform that allows companies to minimize any damage from a faux-pas, and express their human side by making their customers happy with physical personalized delights. In essence, we turn your customer’s complaints into revenue through apologies sent out by Sorry as a Service on your behalf. You point to the unhappy customer and they take care of the rest. 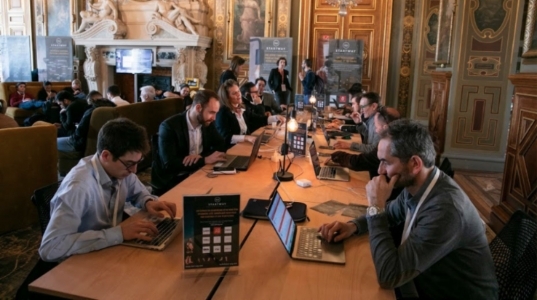 Among these 10 finalists 3 of them ( Cgon, UNU Motors and Con Hub Form) have been part of the Paris Landing Pack Explore, the acceleration program dedicated to international startups created by Paris&Co.